Amazon’s Alexa: The AI With Serious Small Business “Skills” Mischa Communications, Inc.
She can summon an Uber, order a pizza, play your favorite song, turn up the heat in the living room and remind you to call your mom on her birthday. But is Alexa — an artificial-intelligence assistant found in Amazon’s Echo smart speakers and other gadgets — anything more than a clever plaything? A skill is like an app you might download on your smartphone. It allows Alexa to perform a certain task. And while you can certainly create your own skill with a bit of tech-savviness, with 70,000 premade skills available, you’d be hard-pressed to not find what you’re looking for. There are skills to track your time and expenses, manage your shared calendar, easily tell when a client, vendor or team member is able to meet and scan through your inbox searching for that important email that you’ve lost. You can get real-time Google Analytics updates, update your Slack status and ask Alexa for marketing tips. There is a skill for virtually everything, with more being developed on a daily basis — and they can all make running your small business easier in one way or another. Just like your smartphone has an app store, Amazon maintains an Alexa skills store. You can search by newest arrivals, categories or ratings. Once you find your desired skill, a touch of a button installs the skill on all of your Alexa-enabled devices. Alexa for Business takes all the benefits of your personal Alexa-enabled devices and allows them to be shared among the entire team via shared devices. 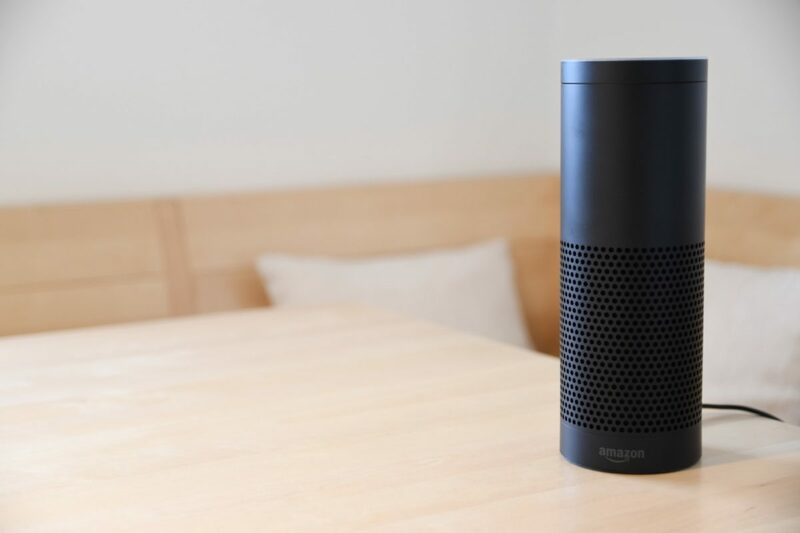 This means that the Echo that sits on your dining room table can effectively be connected with the Amazon Tap in the conference room at work. All enrolled users and shared devices can have access to the skills your company uses, or they can be tailored to a specific team using the dashboard. Alexa for Business can make it easier to schedule meetings with its “Room Booking” feature, set up and launch video conferencing with just a voice command and automate tasks such as setting reminders to order supplies. The service will cost you, however. Alexa for Business currently runs $7 a month per shared device and $3 for each enrolled user. While it doesn’t sound like much, businesses with dozens of employees and/or smaller budgets could easily feel the crunch. Is Alexa the Wave of the Small Business Future? There’s no doubt that Alexa and other AI-enabled “assistants” are taking the world by storm, but whether or not it will catch on in a small business setting is still up for debate. While AI can certainly streamline processes and make things more efficient, there’s no doubt that convenience can be costly, and budget-strapped businesses may feel that the rewards don’t stack up to the hype. Whether you dial our number personally or say “Alexa, call Mischa Communications,” we’re here to help your small business excel. Tell us what we can do to take your marketing strategy into the future!